A Great Place To Find, Plan, Price, and Save Money For Your Next All Inclusive Vacation. 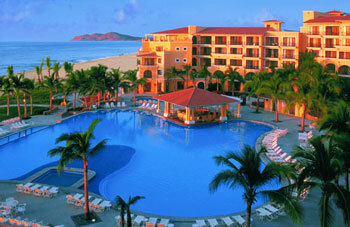 Looking for the best deals to that perfect all inclusive Mexico vacation package. You found the right place. Whether you choose an all inclusive Caribbean vacation or an all inclusive Mexico vacation, we want you to imagine the perfect vacation. Today the all inclusive resorts are reinventing themselves. Recently the New York Times Practical Traveler wrote about the changes being made including, "...chic rooms, sophisticated restaurants, butlers, and activities all wrapped into one price." Imagine leaving your wallet and credit card in your room safe for your entire vacation. are free of dollar signs. Imagine a day full of nothing but relaxing sun bathing on the beach. Imagine a day full of activities: snorkeling, fishing, a trip to the spa, tennis, sightseeing, a round of golf, scuba diving, a night of partying. Imagine an all inclusive family vacation where there is a resort with a special kid’s club a “resort within a resort” for children or a nanny to watch the kids while you stay at the resort. Imagine staying at a resort at the best locations in Mexico and the Caribbean. Imagine a vacation where all meals and drinks, beer, wine liquor, tipping taxes, gratuities, entertainment, activities and sports, airfare and accommodations are included in one price. All inclusive vacation packages can really help travelers get the most out of their travel dollars. We can help you find the right all inclusive Caribbean or Mexican vacation resort for your next vacation. With more than 400 Caribbean and Mexican hotels offering all inclusive packages today, the process of selecting the best one for you can be daunting. Travel Insiders All Inclusive Vacations.com can help. Combining our staff's first hand knowledge from staying at many all inclusive resorts in Mexico and the Caribbean, and our clients' unbiased on site reports, we can help you find the resort and plan that perfect next vacation. If we can book it, we will beat it! Call or email us us before your book your next trip. We no longer match on price, we go one better – we beat it! We pledge to beat any verified quote by $10.00 per paying adult and $5.00 per paying child. See our price beat promise page for more details. Explore our site. It is chalk full of first hand insider information from friendly fellow travelers just like you. Your first stop should be our "what to expect" pages for general information about the all inclusive resorts take on food, rooms, activities, liquor, kids, the extras, and entertainment. The extras take a turn to the negative and a look at the down side of all inclusive vacations. Planning a wedding. Many all inclusive resorts have wedding planners on staff to help you make that special day perfect. See our wedding pages for more information. All inclusive resorts make for the perfect honeymoon. Click on our "favorite honeymoon all inclusive resorts." On a budget? Check out our favorite budget all inclusive resorts. The best. Our staff picks the "top ten all inclusive resorts" in Mexico and the Caribbean. Right now we are in the process of updating our latest list. Tips on buying your all inclusive vacation. Our staff shares their favorite money saving tips. Don't purchase your next trip until you read our suggestions. Is it better to book an all inclusive vacation as a package or should you book each part of your next vacation individually? We answer the question with a simple system on how to make sure you are getting the best price. It is easy. But it takes a little work on your behalf. Call us our agents are on call until 10:00 p.m.
Our toll free telephone number is 1-877-431-9786. Price Beat Promise If we can book it, we will beat it! It is our 14th annual all inclusive sale. Book now to get the best deals on your nex all inclusive vacaiton. Budget all inclusive resorts. The Travel Insider top ten budget all inclusive. Cheap all inclusive vacation packages. When money is tight. Don't worry. We are are to help you find the best all inclusive deals that won't break your budget. What is the best way to book your all inclusive vacation? The Travel Insider shares the best way to book your all inclusive vacation to mexico or the caribbean. The travel insider picks the best romantic vacations resort. An all inclusive resort just might be the perfect romantic vacation. We pick the best. Vacation discount. How to save money on your next all inclusive vacation. Vacation discount. Don't make the $50.00 mistake when booking your next all inclusive vacation. Planning your all inclusive honeymoon? The Travel Insider shares our favorite honeymoon all inclusive resorts. Save money at our favorite honeymoon all inclusive resorts. Planning your all inclusive wedding? The Travel Insider shares insights on how to make your perfect day perfect. The perfect family vacation. Why all inclusive family vacations really makes sense. Affordable family vacations recommendations. All inclusive vacations Mexico. What makes them special. All inclusive vacations Mexico. What makes it special. Family friendly all inclusive vacations. Find family friendly all inclusives. Family friendly all inclusive vacations resorts.Find out which all inclusive resorts are best suited for your family vacation. Don't make a mistake when you book your next Jamaica Resorts all inclusive vacation. 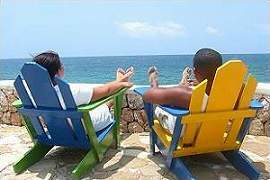 The travel insider is here to help you find the best vacation deal to the fantastic Jamaican Resorts. Personal service, gracious hospitality and exclusive amenities. The most desirable destinations. Planet Travel insider guide to luxury spa resorts. All inclusive vacation tips. Save money. Budget saving tips on your all inclusive vacation to Mexico or the Caribbean. Why book your next all inclusive vacation with us. We know there are many travel sites out there....but booking your next all incluisve vacatgion with us is a no brainer. Do I need a passport to travel? The Travel Insider updates the latest travel documentation requirements. Site map of the Planet Travels insider about your next perfect all inclusive vacation. Your travel insider shares all inclusive confidential insider secrets so you can be in the know about planning your next vacation. When is the best time to travel? What day should you fly? Planet Travel Insider Podcast. Travel Experiences with your travel geeks at Planet Travel. We love to talk travel and want to share our insider knowledge to make your travel experience the best!